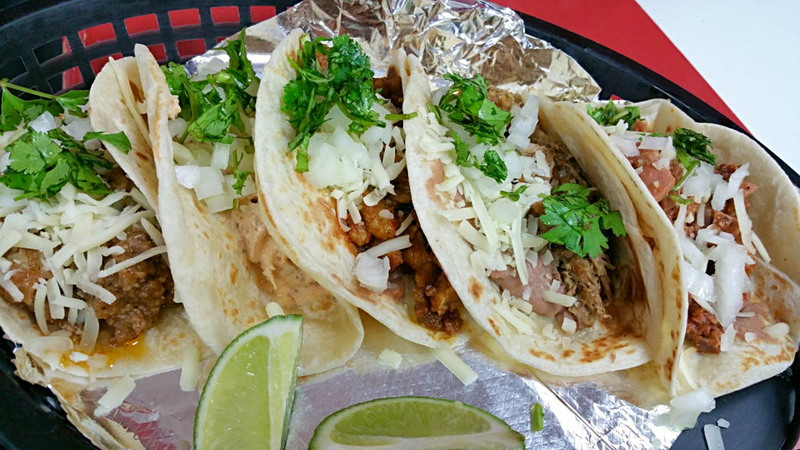 My family, a couple of our foodie friends and I dined at Taco Crave in Spring, TX. We wanted to go somewhere casual and kid friendly with amazing tacos and burritos. Well, we found what were looking for and it was a home run for us all! Taco Crave is a fast-casual, brightly lit place in a small strip center on FM 2920 near Rhodes Road. 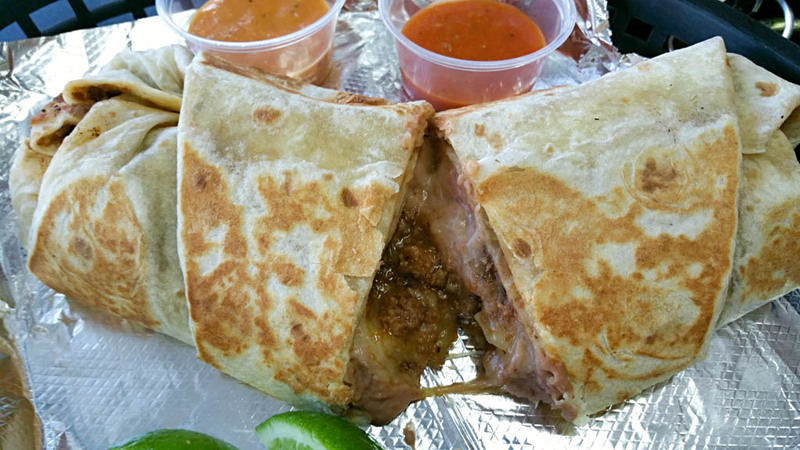 It has excellent, truly authentic, Mexican street tacos, burritos, quesadillas, and tortas. 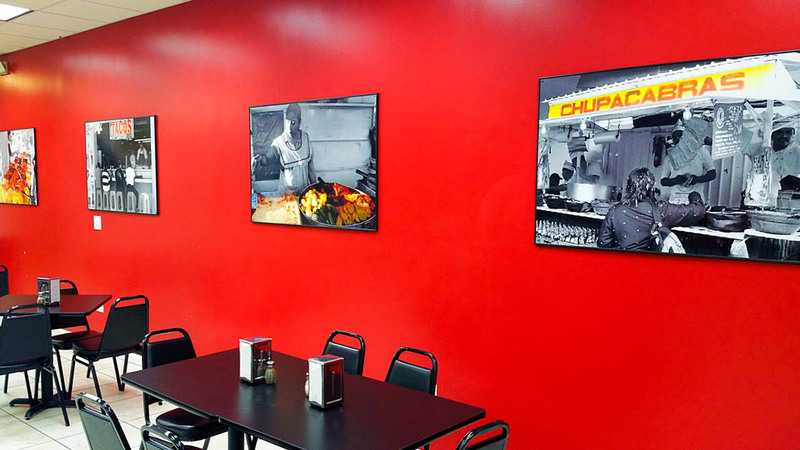 We really loved looking at the large pictures on the walls of the taco carts and stands from the owner’s hometown of Monterrey, Mexico! The pictures on the wall are reminiscent of what you taste in the food at Taco Crave. 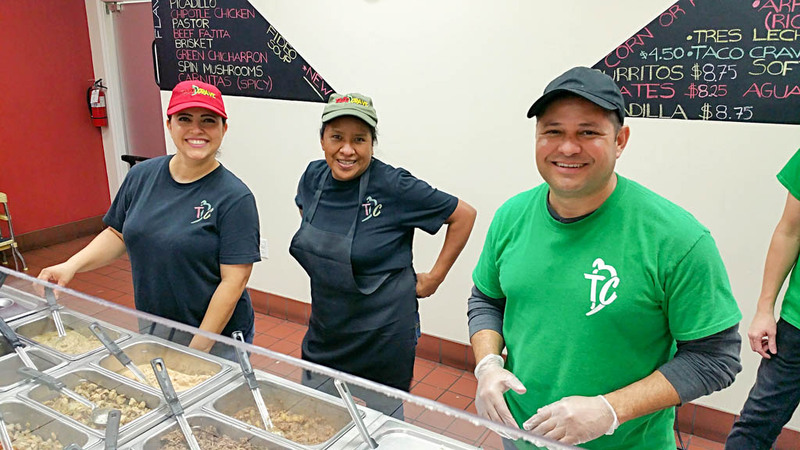 I talked with owner, David Posadas, who explained that he opened Taco Crave because he and his wife Lorena were craving the Mexican street taquitos they used to eat when they lived in Monterrey. Lucky for us, they brought guiso (stew) recipes that are both from family and shared from their favorite taco stands in Monterrey. We went through the line and the staff was very friendly and helpful—even offering us samples of any of the 14 meats on the line. I went outside the box and got a torta. David, the owner, let me know that they use a local bakery to source their torta bread. The bread was lightly buttered and then grilled and topped with refried beans, Monterey jack cheese, and my choice of meat. 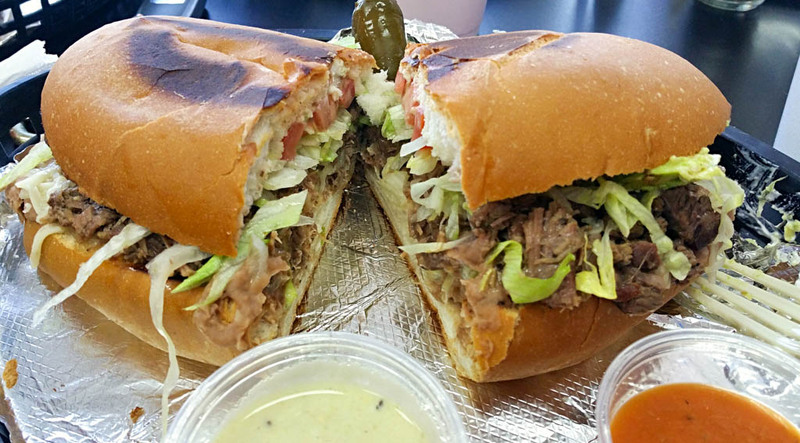 Pro tip: on the tortas, burritos and quesadillas you can choose more than one meat option. I chose a combination; half with beef fajitas and half with brisket, which was all topped off with lettuce, tomato, fresh avocado slices, and sour cream. Both halves were equally wonderful! The bread held up to everything that was piled on to it. The beef fajita and brisket were both tender and flavorful! My wife, Claudia, got a burrito with her choice of meat, with generous portions of refried beans, cheese and picodillo. The burrito must have been a foot long! She said, it was some of the best picodillo she has had anywhere! My son likes his burritos simple, so he got one with just beans and cheese and was very happy. My friends Heath and Shelly, both got five tacos each. Heath ordered, one of each…picadillo, chipotle chicken, pastor, brisket, and their signature crave meat, which is a combination of five meats on flour tortillas. Shelly opted for corn tortillas filled with spicy carnitas, pastor, chipotle chicken, beef fajita and a crave chicken—which is a blend of chicken, mushrooms and bacon. They both enjoyed each of their selections. Heath said his favorite was the spicy carnita and Shelly’s favorite was the pastor. Taco Crave also has Horchata, Cantaloupe Agua Fresca, and Manzana (apple soda) along with their soft drinks and ice tea for beverages. I really enjoyed the cantaloupe drink with my meal. If you haven’t had Manzana it is pretty darn good too and usually not available at most places as a fountain option—another plus for me. 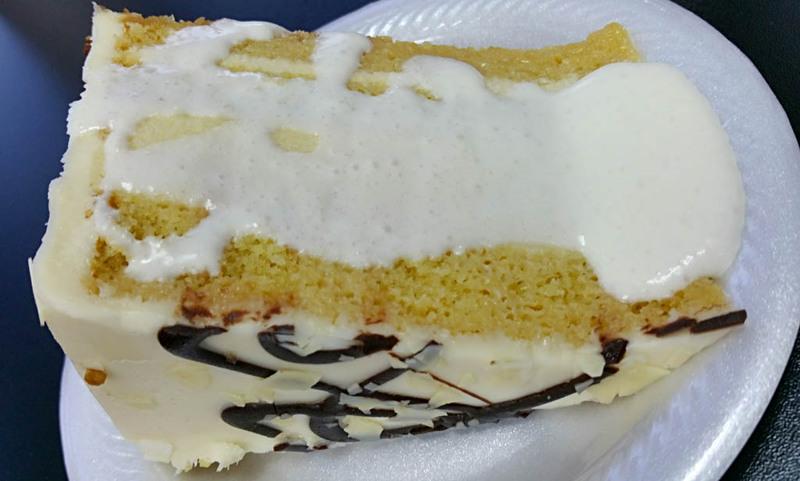 We saved room for dessert so we got a couple of pieces of the new Taco Crave cake, which is a hybrid of a Tres Leches and with a cheesecake filling in the middle. The cake was not overly sweet, but the surprise was on top. A house made rumchata sauce made this dessert epic! When you visit Taco Crave, don’t forget to stop by the condiment area to add pico de gallo, fresh cilantro, onions, limes, and three signature house made salsas to customize your meal. The house sauces are perfectly balance to enhance rather than overpower the flavors of the meats. All three salsas have different flavor profiles and levels of heat: the ranchera (mild), green (med) and habanero (hot). We all enjoyed our experience from start to finish and the service was second to none! The food was hot, fresh and delicious. Nice to have a place like this on the north side of town that is locally owned by people who care about what they serve. 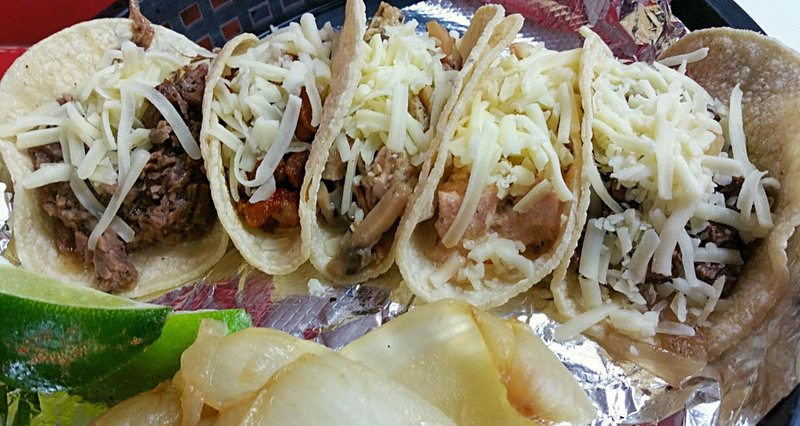 Next time you are “craving” authentic Mexican street tacos, head to Spring and try Taco Crave.